AMES, Iowa – America’s Small Business Development Center Iowa (SBDC) is pleased to share that Lisa Shimkat, America’s SBDC Iowa State Director, has been appointed by Governor Kim Reynolds to the Iowa Economic Development Authority (IEDA) Board. The four-year appointment begins in May 2019. The IEDA Board is appointed by the Governor and acts on administrative rules, approvals to contracts, applications for state incentive programs, among other items. In addition to the 11 appointed members, as well as six ex-officio members, comprised of four state legislators, one president of a private college or university, one president of a community college and a Board of Regents representative, are part of the board. Lisa Shimkat is the State Director of the Iowa SBDC. The network has 15 centers across the state that provide business counseling for entrepreneurs in all areas of starting, operating and expanding a business, including utilizing existing community loan programs in partnership with banks and federal programs. 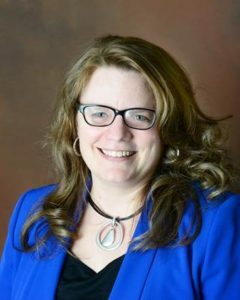 Lisa has an MBA from Iowa State University, is a Certified Business Advisor from University of Toledo, and has also obtained Economic Development Finance Professional (EDFP) certification through the National Development Council. She served on the Securities and Exchange Commission Advisory Committee on Small and Emerging Companies through 2017. She currently is a member on the Fort Dodge School Board and has served on numerous boards and commissions. She also helped found a local Young Professionals group, a group to create networks for young professionals and help develop a sense of ownership within their community. For more information on America’s SBDC Iowa programs or services, call (515) 294-2030 or visit www.iowasbdc.org, https://www.facebook.com/AmericasSBDCIowa, or https://www.twitter.com/IowaSBDC.